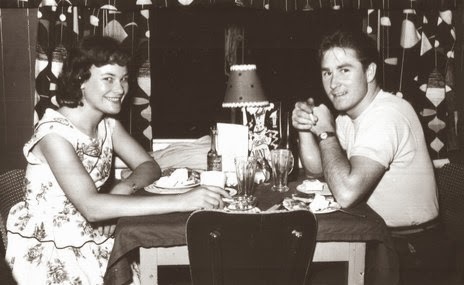 Ref: NZMS 1214, Phil and an unknown friend dining in the early 1960s, Sir George Grey Special Collections. When he was 18 years old, Warren met with an Australian agent of Clef Records in an attempt to establish a New Zealand branch of the company. The agent was surprised to be met by such a young man but was happy to discover he knew Warren's parents from their light opera days. Soon Warren had secured the New Zealand agency deal and his impressive role in the entertainment industry had begun. His show business career included importing records, releasing New Zealand musical acts, running a talent agency, organising touring circuits of coffee lounges and dance halls, promoting performances and being a regular judge on television talent shows. 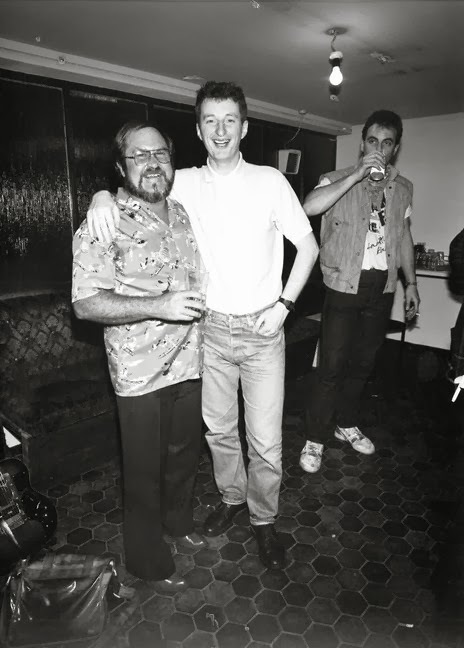 Ref: NZMS 1214, Phil Warren and Billy Bragg in the dressing room of the Galaxy, 1987, Sir George Grey Special Collections. Warren's political career began in 1980 when he was voted on to the Auckland City Council. Over time he held various public roles including; Deputy Mayor, Acting Mayor and Chairman of Auckland Regional Council. Bourke writes "Show business and politics are natural bedfellows. 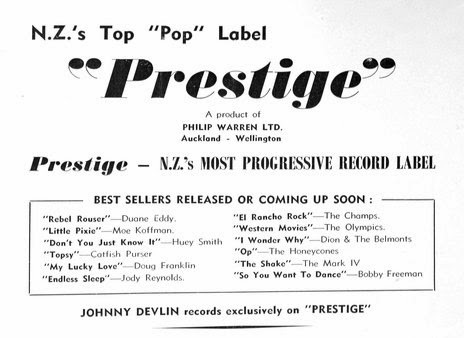 Both require the gift of the gab, and a natural charisma... Warren had both..."
Ref: NZMS 1214, Prestige Records advertisement, 1959, Sir George Grey Special Collections. A concise description of Warren was given at his funeral service, when Helen Clark used the phrase "human dynamo" to describe him. The Phil Warren manuscript is a rich and varied one and reflects the energy and passion he brought to his different professional roles. The manuscript includes a large amount of material concerning various musical figures and groups as well as items relating to Warren's time as an Auckland City Councillor. Items in the manuscript include photographs, business correspondence, personal notes, sound recordings and scrapbooks. Work is currently being carried out on the collection to give it a more complete and accessible order. Excellent! I remember PW as a very entertaining TV personality too. Beautifully written account of PW and the collection held.